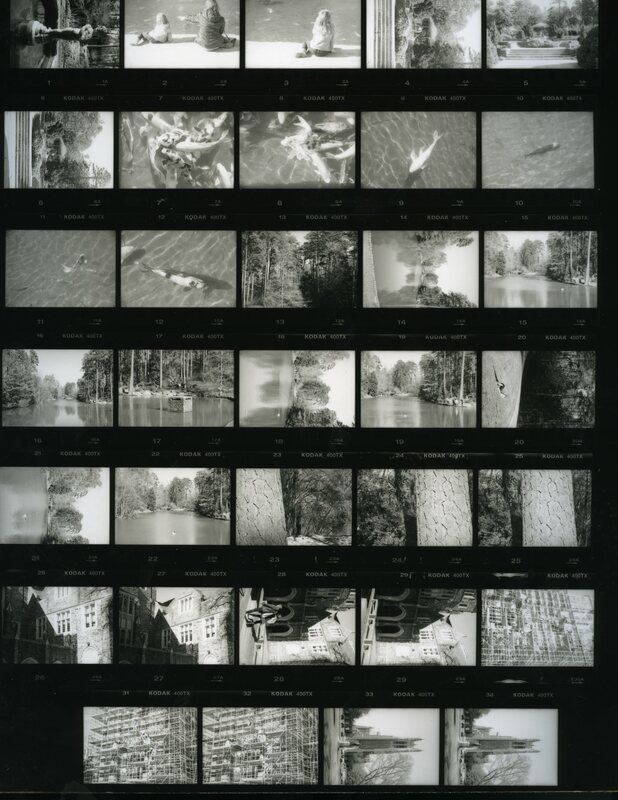 The first time I heard about contact sheets was last semester in my History of Photography class. We talked about Dorothea Lange and her photos for the Resettlement Administration in the 1930s. Specifically, we were analyzing her most famous picture -“Migrant Mother,” that celebrated portrait of a hopeless unprivileged mother and her defenseless children. Our professor mentioned that “Migrant Mother” actually belonged to a series of pictures of Florence Owens Thompson. So she showed us Dorothea Lange’s contact sheet first and then we started discussing the reasons why Lange chose the final photo over the other photos she had taken previously. Yesterday, for my Introduction to Photography class we had to make our own contact sheet from any photos we took over the course of January. You can imagine how excited I was! I went for a walk at West Campus (where the Chapel and Perkins Library are) and Sarah Duke Gardens some days ago and shot several photos (I even took a photo of a little girl staring at a pond full of beautiful fish, and then the little girl with her mom as well) that came out quite well exposed. That’s why I decided to use that roll and the final result in the dark room was quite thrilling!